Match.com is considered as one of the most popular dating sites in America. They « make love happen » and they have been quite successful in helping people to « love their imperfections ». This dating website also specializes in black dating with the help of their « Checkbox » survey in which you can add the specificities you are looking for in a romantic partner. Match.com Black Dating : How does it work? This dating site requires upon registration to complete a couple of questions regarding yourself, such as relationship status, appearance, preferences in life, cultural background, etc. This part of the registration although perhaps time-consuming, is one of the main parts which will define your chances of finding lasting romance. Once you have completed the two questionnaires requested for the registration (one about yourself: « About me » and the other about your expected love partner « about My Match »), you will access the website itself in order to start creating your profile. The profile will be your presentation card to other black singles, hence the importance of putting attention to detail when creating it. Match.com allows you to add up to 26 photos, which will have to be checked by the team prior to its upload. Once the registration and profile creation completed, you will access the big pool of black singles of this dating website. Search and communication tools will then become your best allies to find romantic dates and meet American local black women and men. It is quite important to note that you are allowed to register for free in order to try the website before having to pay any kind of membership. 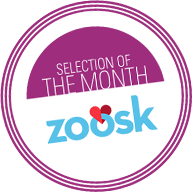 A great way of discovering the tools offered by this dating platform to check if they would suit your needs. The search tools are very developed as they allow its users to filter the searches or, if preferred, to directly ask the platform to search possible matches for them, always based on the profile. Very dynamic search tools that provide black singles with flexibility and productivity when searching for possible dates on specific backgrounds. The « winks » are one of the most popular features as they give the option to express your interest in another user’s profile before engaging in conversation. A great way to break the ice and gauge the interest of you targeted user. Another very interesting feature is the possibility to write essays using the so-called « matchwords ». Those essays called « In my own words », can be on any subject that you might find important or relevant to help you find your black soul mate. Those words become then searchable keywords that will show up in the search criteria. A great and powerful tool to boost matches ! Match.com has a newsletter that also gives you the option to opt. to receive possible matches directly in your mailbox. If selected, you can receive « The Daily 5 » potential matches. Match.com has a strict policy regarding your personal information. Privacy is one of their main pillars. It is a very easy site to navigate with a great customer service and user’s support by phone, email or through their help pages. Match.com is present internationally and counts with the backup of the status of its popularity abroad. 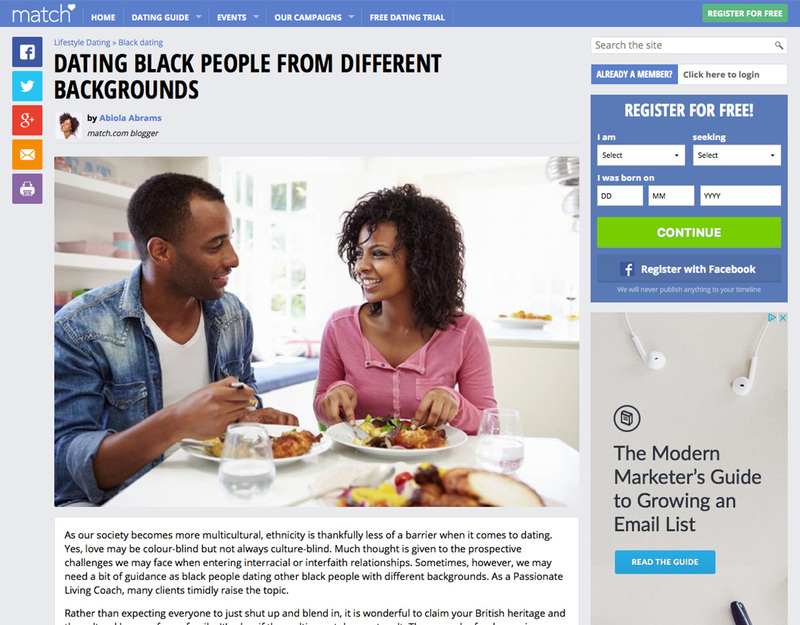 Match.com black dating is one of the main American key players on the dating industry. A great platform that offers you a fun and efficient way to date black men or women in America. If you’re looking for a big pool of singles, a trusted site and tones of different communication tools, then this is probably your best choice. Try Match.com out!